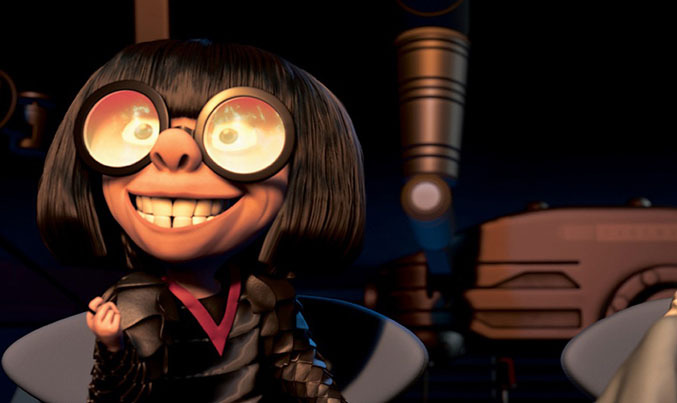 HOLLYWOOD – Brad Bird confirmed today that a spin off movie from The Incredibles will tell the origin story of popular pint sized fashion designer Edna Mode. Speaking EXCLUSIVELY with the Studio Exec Bird revealed that along with the long-awaited sequel The Incredibles 2 a spin off prequel – provisionally entitled No Capes! – is also in the pipes. When I was writing The Incredibles of course you have loads of spare ideas and of those ideas Edna Mode was by far the biggest recipient. I was fascinated by her double life of a high end fashion designer, internationally renowned, and a supplier for superheroes. She is just one of those characters with such a clear voice, she writes her own dialogue. Edna is a a young fashion student in Milan, whose best friend Gertie (alias La Dolce) turns out to be a superhero. They have adventures defending the world from Lachrymosa – a rival designer/super villain – while at the same time Edna must prepare her first ever show. We’re working on the script now. I think the priority will be The Incredibles 2, but I would expect that Edna won’t be waiting long for her bow. Edna Mode was one of the most popular characters of the original The Incredibles which was released in 2004 and was seen as one of the most accomplished Pixar movies. Pixar could really do with a hit following a series of uninspired sequels and the animation studio will be hoping that Edna can help to create something that is truly fabulous dahling. No Capes! will be released in 2020. It says “Edna Mole” in the article. It’s ” Mode”. Please fix that. Get Joss Whedon to write the script. Please.